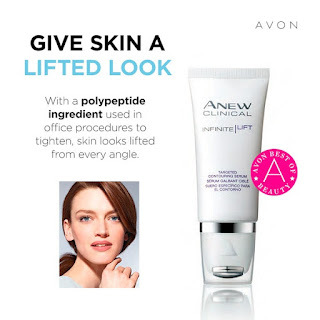 ANEW Clinical Infinite Lift Targeted Contouring System lets you contour and combat aging with one action! We all want the "contoured" look, to have our faces look lifted from every angle. Get that look with our special transformative contouring serum formulated with Polypeptide Lift Complex. This complex boosts multiple dimensions of visible lifting targeting to firm and contour the skin on four key areas: cheeks, chin, jawline, and jowl. 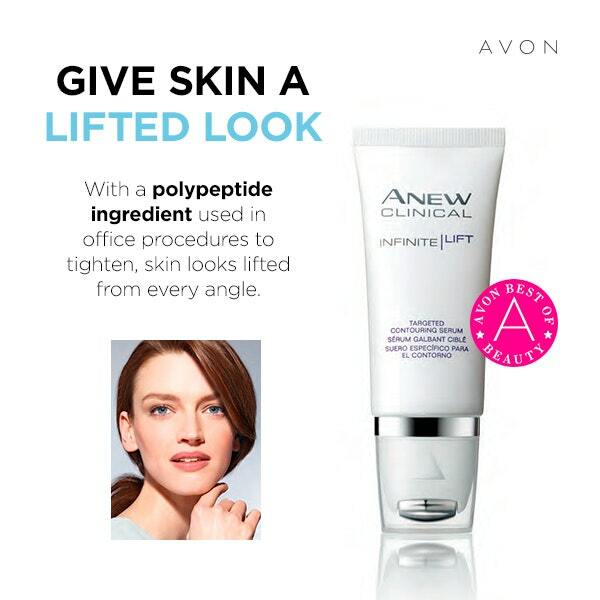 Get visible results when you apply this concentrated skin tightening formula with the unique roller built to smooth and massage skin. Infinite Lift counteracts skin's natural tendency to sag while the massaging roller allows the complex to be more readily absorbed into the skin. This breakthrough fits perfectly into your anti-aging routine and gives you visibly lifted, firmer, natural-looking skin. 1 fl oz. • As part of your daily morning and nightly routine, use roller to apply Infinite Lift to cheeks, chin, jawline, and jowl. Dispense product onto roller. Using the massaging roller applicator, apply the product where needed in an upward motion along the four key facial zones. Pat gently with fingertips. Make sure to apply after cleansing and before moisturizing.